ANOISON torque wrenches are used to properly install or disassemble a wide range of coaxial connectors. This series of torque wrenches is designed with a preset torque value. 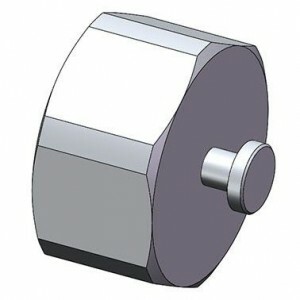 ANOISON offers a large selection of nickel plated dust caps with or without chain. Save yourself time and money by ordering your custom engineered coaxial cable assemblies from Anoison. ANOISON torque wrenches are used to properly install or disassemble a wide range of coaxial connectors. This series of torque wrenches is designed with a preset torque value. When the presettorque value is reached, it will “break” and move through a small arc about the pivot pin. Save yourself time and money by ordering your custom engineered coaxial cable assemblies from Anoison. Anosion cable assemblies include flexible, hand-formable and semi-rigid type cables ranging from 0 to 40GHZ. 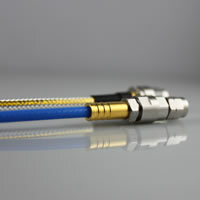 Cable assemblies can be fitted from our complete line of connectors, ranging from MMCX to 7/16 type, or with a connector from your choice of supplier. Virtually any type and gender of connectors can be accommodated on cables of up to any length. Precisely matched cable and connectors from our own world class connector manufacturing facility. Manufactured in accordance with your requirements to meet your specifications. Reduced stock – no inventorying of cables and connectors. No defects – perfect assemblies every time.